Kauczinski was appointed in the summer to succeed the Leipzig-bound Hassenhüttl. FC Ingolstadt 04 and Markus Kauczinski have gone their separate ways after Saturday’s 2-0 loss to FC Augsburg left Die Schanzer without a win in 10 Bundesliga games. 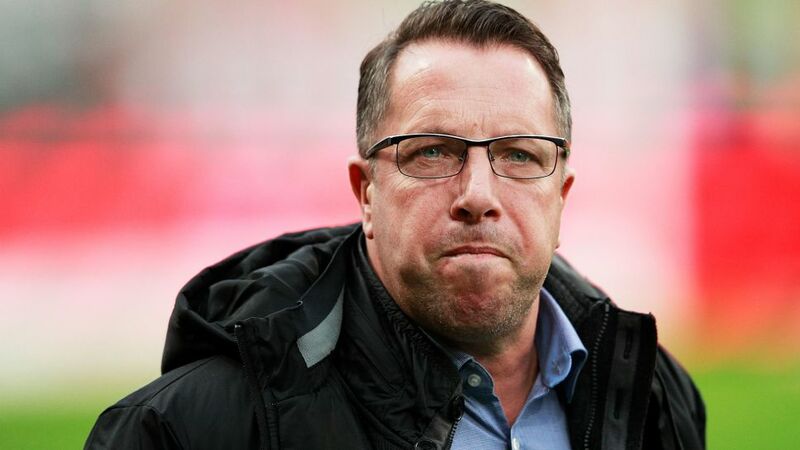 "I am very sorry because Markus Kauczinski is a great guy," club chairman Peter Jackwerth told German television on Sunday. A popular figure, Kauczinski has nonetheless been unable to inspire the Bavarians to the same heights as current RB Leipzig coach Ralph Hassenhüttl did last season, when the club finished 11th, seven points clear of automatic relegation. The defeat on Saturday was the final straw, with FCI on course for a share of the points before Raul Bobadilla came off the bench to score one and assist another, sealing a late win for their regional rivals. Click here for more Ingolstadt club news!